I must have been about five years old when my Dad convinced my sister and me that if we were willing to help we could soon be eating thee most delicious vegetable ever. We lived on a small farm and we generally liked our vegetables so we were gullible easy to persuade. All we had to do was to pick a bucket full of dandelion leaves and he would cook them for us. 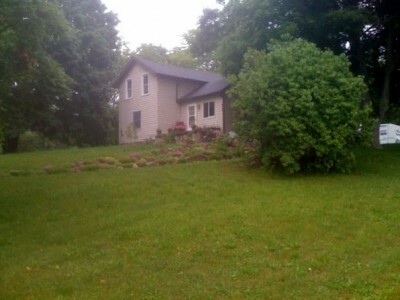 Our house was on the top of what seemed like a really big hill when we were little with a very big front yard. Our backyard was just over 49 acres. While my Dad took good care of the yard there were always dandelions out there so we had plenty of them just waiting to be picked. Picking dandelion leaves on a hot humid summer afternoon in Michigan is not fun and it took us a really long time to fill that bucket. We tried to find the biggest leaves so that we could get done quicker. We finally got it filled and returned it to Daddy. We watched as he washed them repeatedly to get all the dirt off them and then watched as he cooked them up in a big pot. I remember that they smelled really good. They were the worst thing I had ever eaten. There was not enough butter in the World to make them palatable! We felt betrayed. Daddy had fibbed, they were not delicious, although he did eat his and ours both! Maybe they are an acquired taste but he sure never talked us into picking dandelions for him again. This memory was posted in Memories FOR Amara and tagged dandelion, Kc the child on November 8, 2013 by Grandma Kc. Fascinating! I guess I knew these leaves were edible, but just figured they’d only be eaten by survivalists. Your dad did manage to impress that fact on both of you, though…just in case! I remember seeing lawns resplendent in dandelions and thinking they were the most beautiful thing on earth. My sisters and I loved the big ones with the long stems. Those were easier to weave into crowns and bracelets! Amara will love this memory! I would never make it as a survivalist – not then and not now! I can’t even deal with snow! I did later learn that when it comes to greens the small baby ones are the best, much like asparagus. As they get older they get tougher and bitterer. I’m not willing to try them again to find out! That is a great memory. 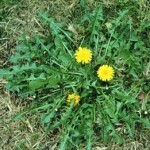 My in-laws used to eat dandelion leaves, ferns, and milk weed in the early spring. So you were wise and didn’t try and of them? Good decision! And that is the reason child labor laws came to be! Dad was just using you two to pick dandelion greens for him to eat!! LOL What a great story!! I love seeing dandelions in bloom, but I can’t imagine eating the greens either!! Exactly! I have a feeling there were a lot of other labor law violations when I was growing up – I’m going to have to remember some more! My family did not pick these when I was young but when I married I discovered that my husband’s mom and sisters did. They went out to the country in early spring and dug up the dandelions and then these were cooked with a sort of bacon dressing. So-so to me but from what I’ve read, before we had vegetables readily available in grocery stores this was the first available salad so in the olden times i think that probably everyone ate these in the early spring. Maybe that was another part of the problem! In my memory this was one of the hottest summer days so these were very well established plants! Plus with the goal of filling the bucket we bypassed all those tender baby leaves and only picked the big tough ones! Trust me on this one Debra, don’t try them! I’m a Michigan girl…but I sure never heard of eating dandelion leaves! I can only recall picking the dandelions…..but by the time we got them home to mama…they’d be drooping already! I love how you’re writing memories for Amara! She will love these tidbits as she grows older! Thanks Joan! “Tidbits” is the perfect word to describe them and I may steal it! This is so funny. My mom made us eat dandelion greens once. We were actually incredibly broke (single mom with seven kids) and there wasn’t a whole heck of a lot to eat. There were, though, lots of dandelions in the yard. She tried to make it seem like such a magical adventure to pick and cook our dandelions. But… was really just yucky. Poor mom. She tried. I love that story. I do believe greens are typically an acquired grown up taste. My grandmother loved dandelion greens, but I was well into my adult years before I developed an appreciation and I want them mixed. Have you read When I Was Young in the Mountains by Cynthia Rylant? Your story reminded me of that. I’ve never tried dandelion greens, but I remember that my husband’s grandmother used to cook poke salad. I tried it. It was very similar to turnip greens or spinach. I never knew that you could eat dandelion leaves. We don’t have enough in our tiny yard to try, but I’m not trying. I know my parents made me eat bitter melon growing up and I still hate it to this day. Great memory. We grew up eating lots of greens, but never dandelion greens. We often ate turnip greens, mustard greens, or poke salad. I still don’t like most greens today.